Directions | Mellon Medical B.V. Please note that most navigation systems do not recognize Transistorweg 5. 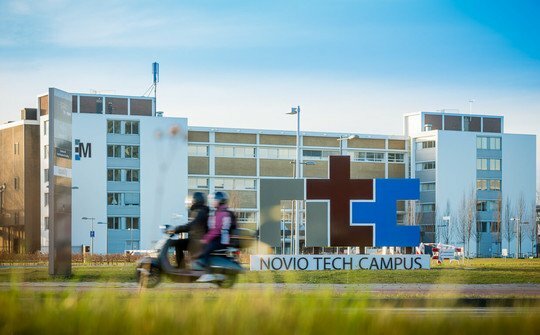 As an alternative you can use the address of the location Jan Massinkhal opposite to the entrance of Novio Tech Campus, which is Nieuwe Dukenburgseweg 5, Nijmegen. At Novio Tech Campus follow the signs M (take the 1st left). Follow this road up to the second barrier at your left hand-side to enter the car park. If the barrier is closed, please ring for Mellon Medical. You will receive a token to leave the car park. For further instructions see below ‘All directions’. You pass a Texaco petrol station. Stay in the right lane! From Nijmegen central station please take the train to Nijmegen Goffert-station. Exit the train station and walk in the direction of the university campus. It’s a 5-minute walk to building “M”.